Love lingers in the air this week as we raise a glass to Valentine’s Day. I’m thankful to work with my sweetheart, hosting a podcast and speaking engagements on wine and film with my husband, film critic, Gary Cogill. Likewise, dozens of winemakers produce stellar selections side by side with their one and only. Eric Story and Alison Smith-Story met while working in the wine business in California. Falling in love over great glasses of wine, they dreamed of making wine together. In 2013 they launched Smith Story Wine Cellars in Sonoma, shortly after eloping on our Big Island. Ti leaves wrap the border of their label, a nod to the connection they found in Hawaii. Sourcing fruit from premium California and German vineyards they’re proving that with love, respect, and belief in each other, anything can happen as demonstrated in their wines that shine with a sense of place. Surrounded by a forest, next to a flowing creek, Smith Story Helluva Vineyard Anderson Valley Pinot Noir ($40) defines terroir as hot, sun-drenched days, are cooled at night thanks to evening winds blowing off the creek through the vines. The combination ensures ripe fruit balances with vibrant freshness. Adam and Dianna Lee met while working in the Neiman Marcus epicurean department in Dallas, TX. They bonded over good wine, food, and the communal act of sharing both with those you love. Moving to Sonoma, they learned the art of winemaking, creating Siduri Wines 20+ years ago. Their success attracted the attention of Jackson Family Wines; another highly successful wine family created the late Jess Jackson and his wife, Barbara Banke. Jackson Family purchased Siduri in 2016, keeping the founders on as winemaking consultants, ensuring their passion remained in each bottle of Siduri Pinot Noir. Siduri Willamette Valley Pinot Noir ($30) reveals wild strawberry and forest floor notes. Fifty-years-ago, the Trefethen family, began their wine adventure as Napa Valley grape growers, selling fruit to the limited number of working Napa wineries at the time. After finding success selling their fruit, John Trefethen and his dynamic wife, Janet, pursued the idea of making wine from their Oak Knoll Estate vineyards. 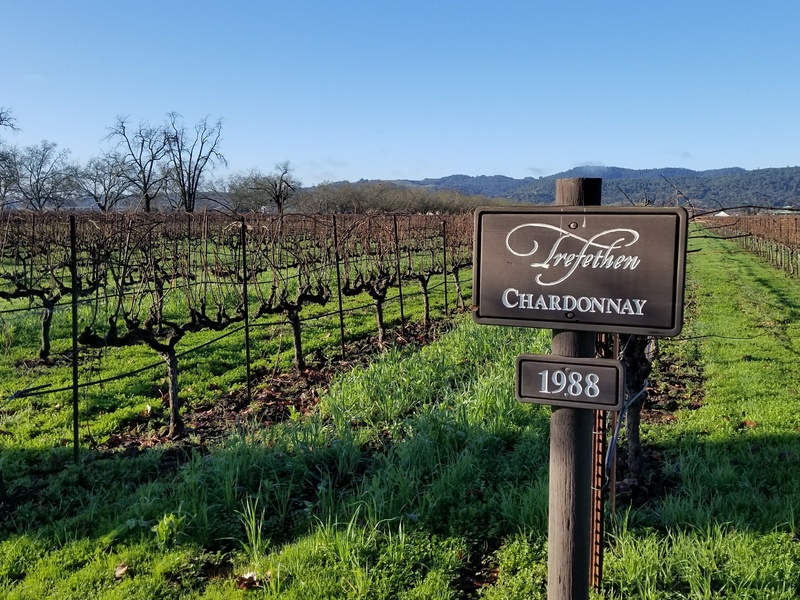 Thanks to their determination, and unyielding dedication, Trefethen Vineyards shines as a leading producer of premium Napa Valley Cabernet Sauvignon, Chardonnay, and crisp Dry Riesling. Thriving independently, yet melding harmoniously, Winemaker Gina Gallo, of Gallo Family Wines, and her husband, Jean-Charles Boisset, of Boisset Family Collection, prove that love reigns when great wine is involved. Though both have highly successful family wineries independent of each other, they come together, fierely supporting each other in every adventure they take on. Like Bossiet’s recently purchase of Napa landmark, Oakville Market. Winemaker Philippe Melka is a leading consultant to some of Napa’s highest rated wines, like Lail, DANA, and Vineyard 29, but I find his story revealed through the wines produced with his winemaking enologist wife, Cheri, in their Melka Wines. Named after their children, Melka “CJ” Napa Valley Cabernet Sauvignon ($75) highlights the couple’s elegant touch, softening the wine’s robust, mineral-rich core with black fruit, dried leather, and toffee. Craig and Kathryn Hall both had successful careers outside of wine, he as a developer and her as an entrepreneur and philanthropist, as well as the former U.S. Ambassador to Austria under President Clinton. But, with a love of the vines in her veins from Kathryn’s family history as growers in California, the duo created Hall Wines in 2003. Hall Cabernet Sauvignon ($55) delivers blackberry, wildflowers, and toasted mocha. Similarly, Rich Frank had a highly successful career in film and television, working for Disney, Paramount and USA Network, among others, but fell in love with Napa Valley and a desire to make consistently delicious wine from the valley, including his Winston Hill vineyard in the heart of Rutherford. His wife, former television news anchor, Leslie Frank, joined Rich in his Napa home and at their Napa winery, Frank Family Vineyards, which Rich started in 1992. Thanks to their dedication, and that of their talented team, like long time Winemaker, Todd Graff, Frank Family Wines has become a staple of quality and taste in Napa Valley. Donn and Molly Chappellet fell in love with the sweeping vistas of Napa’s Pritchard Hill over fifty years ago, establishing their highly regarded winery there to showcase the earthy qualities mountain fruit brings to Napa’s signature grape, Cabernet Sauvignon. Highly structured and beautifully concentrated, Chappellet Pritchard Hill Cabernet Sauvignon ($250) layering blackberry, pencil shavings, and chocolate.